As a GP with over 15 years of experience, Masood remains passionate about improving services for patients and making it easier for his colleagues to deliver healthcare. 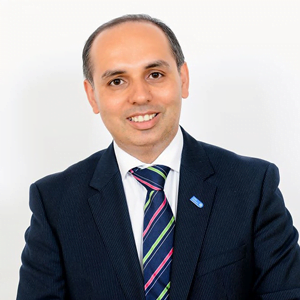 As well as being a GP in Birmingham, he also holds prominent roles both locally (CCG Governing Body, Local Digital Roadmap & CCIO Your Care Connected programme) and nationally (NHS England). These roles have allowed him to introduce new ways of empowering and communicating with patients. He has developed good networks with national professional bodies (ICO, BMA, RCGP & Medical Defence Bodies), which has helped to inform progress on important work programmes such as the national data sharing agreement.